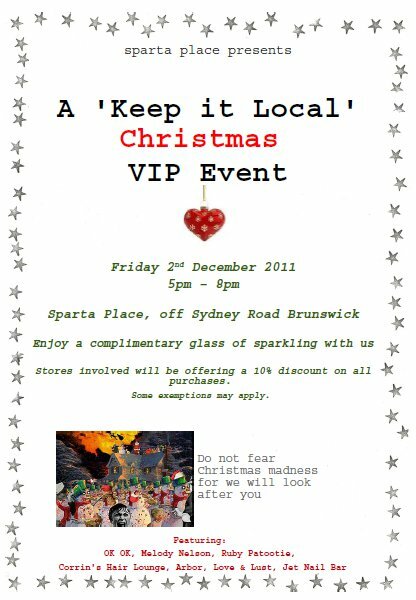 Arbor Jewels is hosting a Keep it Local Christmas event in collaboration with the other shops in Sparta Place, Brunswick on Friday 2 December from 5-8pm. Enjoy a complimentary glass of sparkling and support local makers and small business this Christmas season. Hosting shops will be offering 10% off purchases on the night, including Arbor Jewels, OK OK, Melody Nelson, Ruby Patootie, Corrin's Hair Lounge, Love & Lust and Jet Nail Bar. Sparta Place is located just off Sydney Road between Victoria & Blyth Streets, Brunswick.